SECTION A: Reading Across the Curriculum, helps teachers understand how to assess reading skills in the classroom and plan instruction accordingly. When every day teaching is carefully designed around this type of data it means that all students can learn and grow. In SECTION B: Tackling Tough Text, equips educators to empower their students with confidence when handling tough text. Strategies to break down, engage and interact with the text are all explained in detail. Reading is a complex cognitive process that develops cognitive skills. SECTION C: The Cognitive Skills section explores and explains difficulties associated with learning to reading while introducing strategies for dealing with these issues and reducing the gap. 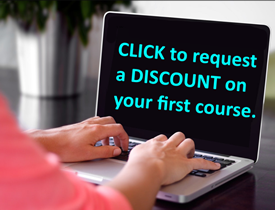 These courses are excellent and a lifesaver for renewing your license. Catrena S.
Love this idea for reading comprehension to use with my students! Shannon H.
A lot of great information. Ryan W.
Very interesting topic. Could have used this strategy when I was going through school. I will share this with my daughters who are now becoming teachers! Jennifer R.
It was actually a very good course - surprised me! I found this course very helpful. I plan on using the various charts that were presented during the course. Thank you! This was a well-organized and informative course. The writing was awesome. I will use this information in my classroom. Thank you. Course was intense but helpful. Thank you for your services to help me renew my MN teaching license. I look forward to using this resource again. Thanks. It was a good course! Thanks. I felt this course was informative and not a waste of time. Great refresher course on reading! Thank you, It was nice to work on this course at my own pace and not have any deadlines to meet. Thank you for a great way to get me out of a credit jam, but more importantly expand my professional knowledge. The reading comprehension checklist is an excellent resource. It is applicable and based off of solid research and tried and tested methods. Sections 2 and 3 were GREAT! Very interactive and meaningful. This course was great! I was able to revisit some strategies I'd already learned, and learn new ones as well. I will definitely use many of these strategies when school starts again. There were some useful ideas and resources within the course. Thank you. Nice job. Lots of new information. Some of the content was review. It was nice to review some previously known reading strategies. Some of the content was also new, and very beneficial. Really enjoyed this, would recommend for anybody needing a bit of help with a good way to help your students with a comprehension tool. I really enjoyed this reading online class. Thank you very much. Thanks for the information on reading...I have a student that I work with as a Speech Pathologist who is struggling and I work with the teacher as extra help for him and this lesson has given me great insight as well as ideas to use to teach him and help him become a better reader! Thank you! Thanks for this valuable service! Thank you! The information was extremely helpful and more up to date from when I attended college. Thank you! This was a great way to complete my required components of my Minnesota teaching license. "I have throughly enjoyed using this website to collect and obtain CEU credits for my teaching license. I love how easy it is to access and take my time to work on a particular course." "I am very glad to see other teachers using the same strategy that I like to use with my students. Many teachers might not like this strategy because it takes a lot of time but it helps students understand the text." "The content is very rich and so much to learn from and it is a little confusing. Other than that it provides rich content." I really enjoyed the course. It was straight forward and easy to use. . It was a great course with good pacing and I learned lots of material in a short amount of time that I can use in future classroom environments. Thank you! I really did learn a great deal--much more than I anticipated. This was a very good experience. I really enjoyed my first experience with an online course. I enjoyed working at my own pace and completing assignments according to my schedule. There sources were fairly easy to access. Would have benefited from a better understanding of class expectations in terms of grading system. Useful course. Good review of what I learned in college as well as learning some new ideas. This course strengthened my belief that there are many factors that affect reading success. I chose this course because I wanted to learn how to help my students improve their reading skills across different content areas as I work with them on various subjects within our science, social studies, and ELA curriculums. I didn't realize how closely this course would relate to my position as a speech-language pathologist. This course has truly awakened my thoughts in regard to reading across the curriculum. I feel reinvigorated in some of my approaches to reading, specifically in regard to pre and post reading work and assessments. So many of the articles that I read throughout this course provided me with much needed insight and concrete facts about reading that I can use in discussion with parents, colleagues and my children's teachers. Just when I thought I might not have the time for another course, I am quickly reminded of how much there is to learn and how much I love learning about my craft! This course reaffirmed my belief in the importance of reading across the curriculum. I have definitely learned a great deal. This course taught me about the many factors that influence a student's reading success. As someone renewing my license, not currently teaching or having access to more clock hours in a work setting, more courses to fulfill clock hours would be great. Great course, easy to navigate and met my needs! This was convenient and the price was right. The course also opened my eyes to reading skills that I should have been teaching my students from the start. Really enjoy the overall philosophy and format. This course has strengthened my belief in the importance of reading to learning, especially in the area of social studies. I think this course also refreshed my understanding of the importance of context and prior knowledge to understanding. I am going to try and focus on these key concepts this year. I found several activities to be extremely helpful. It not only allows me to see which concepts the student thinks are central, I can also gain insight into which students are having difficulty with comprehending, vocabulary etc. This course has provided a solid tool to allow children the ability to self monitor and control their reading comprehension. It definitely filled a gap in taking the class lesson techniques and making them accessible to the student on an independent level. The goal of reading should be to create a life-long love of reading. By helping to keep students focused and organized, these strategies and the checklist, remove a level of frustration. I have really gained useful strategies that I am anxious to try out this year! For me, this course has really opened my eyes to the importance of pre-reading discussions. This tool will help focus student attention and ease anxiety about answering questions. The reading checklist encourages students to become involved in the reading process. It helps to make reading less intimidating and more manageable. I enjoyed the course content and plan on using some things I have learned in future lessons. The readings and activities were both challenging and helpful.